The Dhawa Cayo Las Brujas is set to open later this year and promises to be one of the most innovative and luxurious beach hotels in Cuba. Dhawa is a recently introduced brand from luxury hotel company, Banyan Tree Hotels & Resorts. Based in Singapore, the vast majority of their hotels are located in Asia although they do operate a luxury beach property on Mexico’s Riviera Maya. Cayo Las Brujas is a small island located off Cuba’s north coast, connected to the mainland by a causeway that then continues to the neighbouring island of Cayo Ensenachos and on to the fast developing island resort of Cayo Santa Maria. Cayo Santa Maria is home to Cuba’s only 2 small, luxury All Inclusive hotels, the Melia Buenavista & Royalton. Although, with over 500 rooms, the Dhawa Cayo Las Brujas will be much larger than either hotel, it is sure to provide stiff competition when it comes to the quality of service, accommodation and facilities. Banyan Tree have long been known for their innovation and with Dhawa they are set to introduce a whole new way of thinking to the Cuban hotel scene. The ethos of Dhawa Cayo Las Brujas will be to provide contemporary, casual luxury with an imaginative twist. 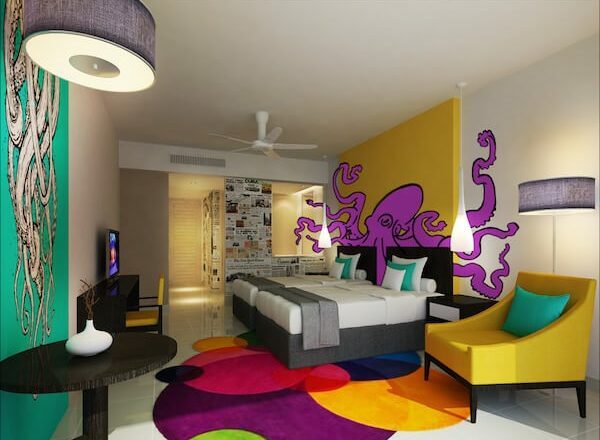 Rooms will be known as Cocoons and will marry stylish décor with state of the art features and luxurious bedding. Bathrooms, known as Pods, will come equipped with rain showers, LED mood lighting, Bluetooth music speakers and branded amenities. The Dhawa Cayo Las Brujas will feature a total of 516 rooms, spread over three floors. There will be 3 restaurants, bars, a swimming pool, gym, kids club, and water sports center. 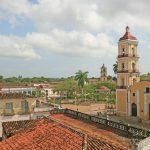 Cayo Las Brujas can be reached from Havana either by road (approx 5 hours) or by air (approx 45 minutes). 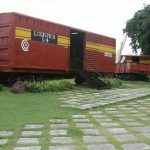 Although most visitors to the island are drawn by its beautiful beaches and rich marine life, the nearby historic towns of Remedios and Santa Clara can easily be visited on a day trip. 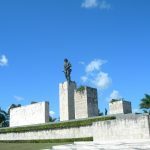 From left to right, the pictures below are Che Guevaras’s Monument in Santa Clara, the Tren Blindado in Santa Clara and Church in Remedios.